It be speak like a pirate day today and I welcome ye all aboard Nocturne to chew on rats tails with me! I be watching fur de monsters of the sea. I be named Cap’n Blue-Bucklewash! What’s your name? Filed Under: Catology Tagged With: BaileyBoatCat, boats, cat on a boat, happy, live aboard, pets, photography, pirates, s/v Nocturne, Speak like a pirate day! « Introducing Sharkie and Blue! You are the perfect pirate, Bailey, with your own pirate ship! Monty Munster the monster getter mate! 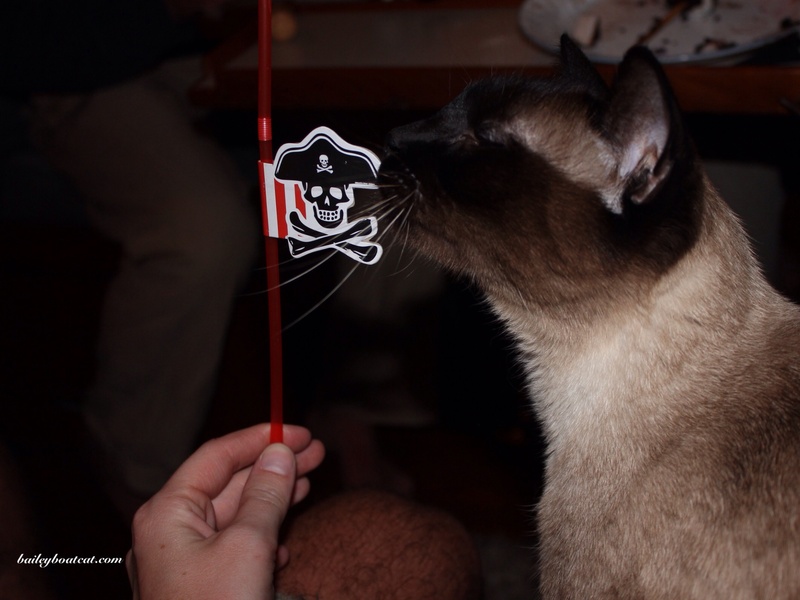 Bailey, you’re probably the only kitty pirate today with a real, not virtual, boat! Ahoy Matey! May an old ginger pirate come aboard for visit??? Happy Pirate Day! 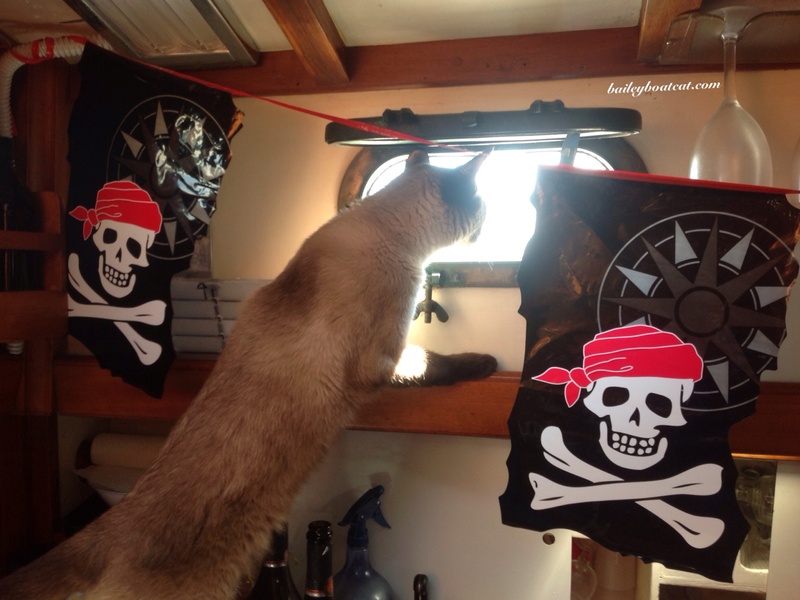 Ahoy Captain Blue Bucklewash me sweet Brofur…..arrrghh may me Queen Nylablue of da Nile come aboard n chew a tail or 2 wif ya??? haha….hail Matey. This is Shoko the Savage Scavenger dropped by to say…”Be prepared to be boarded by riotous buccaneers”. Keep a watch out as we sneak in at dusk…. I’m Mad Blackbeard Wally and Ernie is Evil Necksnapper Ernie. Zoey is the Bloody Mistress of Death. Arrrrrrgh! I’m Cap’n Travis da Terrible. 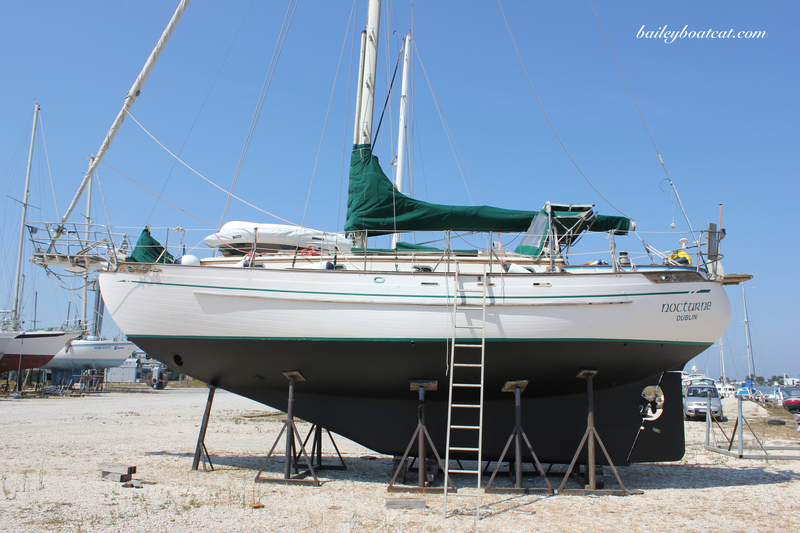 I love that you are celebrating pirate day on a boat – lucky person you! !